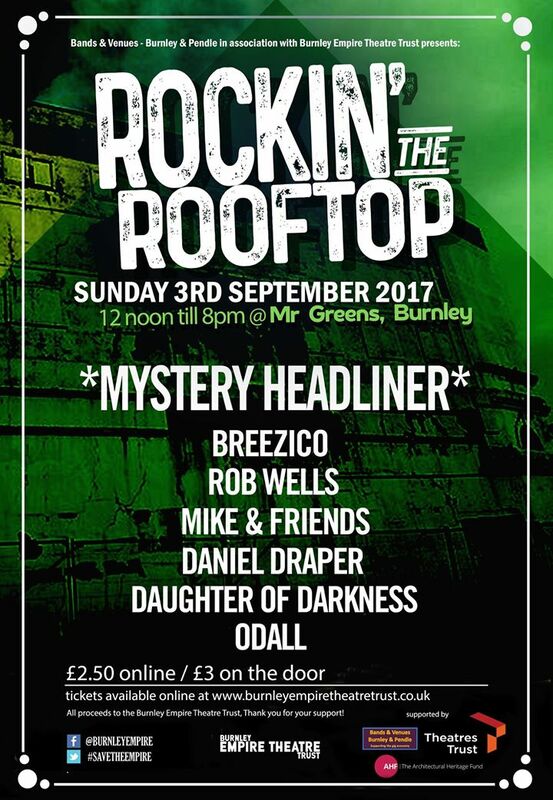 Welcome to the majestic event of the year, Rockin' the Rooftop @ Mr Greens Burnley, featuring a full day of music and mayhem, jollification and merrymaking. Burnley Empire Theatre Trust is pleased to announce that it is staging a marvelous day of extravagance, frivolity and gaiety on Sunday 3rd September at the most famous of local venues Mr Greens Burnley. We're delighted that Bands and Venues Burnley and Pendle have generously offered to help promote this event on behalf of BETT to ensure you have a fantastic day! The day is mainly about having fun and raising awareness about the Burnley Empire Theatre and the efforts to save this historic theatre from demolition, restoring it to its former glory. BETT committee members will be there on the day with lots of information and will answer any questions you may have about the project and their hopes for the future of the Empire. We've secured a superb line-up of acts for the day, including our Mystery Headline act, who will be announced nearer the time. 7pm - 8:00 Mystery Headliner! Rockin' the Rooftop @ Mr Greens Burnley. @ Mr Green's Soul and Motown Lounge Bar, 18 - 20 Bull St, Burnley, BB11 1DW. This is going to be a great day so get your tickets and put this in your diary! Tickets may still be available on the door but at only £2.50 a ticket, you're going to have to act fast to avoid disappointment - click on the link below to book your tickets . All money raised will be helping BETT with costs associated with the project. If you cannot make the event but would like to make a small donation, we'd be very grateful. 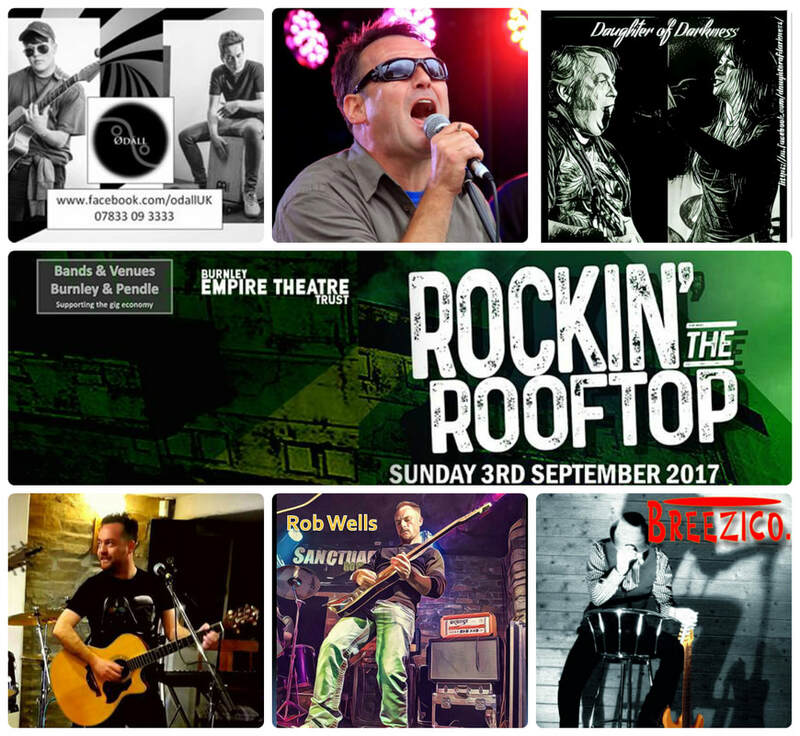 Tickets £2.50 online, £3 on the door, all profits go the the Empire Theatre project.